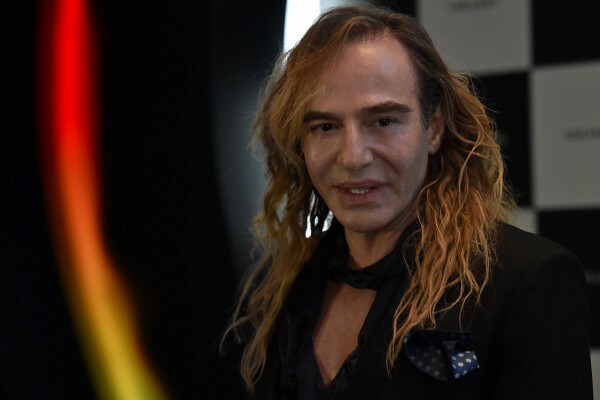 Disgraced British fashion designer John Galliano, little-seen since being sacked by Dior in 2011 for making drunken racist tirades, reappeared in Moscow Thursday as creative director of a Russian cosmetics chain. 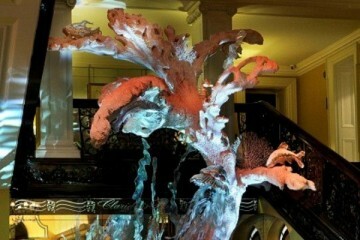 The L’Etoile chain, which has some 850 branches in more than 250 Russian towns, did not skimp on the event which took place in one of the most exclusive Moscow suburbs. Galliano appeared for just a few seconds, in a halo of orange smoke, at the end of the show. “This is an opportunity and a great challenge for me,” he said later, in an interview with the official Itar-Tass news agency. ”I am confident that our partnership will lead to new and exciting events in the world of beauty for Russian women. I think the results will be beautiful and inspiring,” he added. However, his rehabilitation following the racism scandal has been difficult and he has been rarely seen at public events since then.